Embrace the bucolic beauty of Kerala as you arrive in the port-city of Cochin! As you arrive in the city, you will be warmly received by our guides who will help you in getting transferred to Munnar; one of the most stunning hill stations in Kerala. 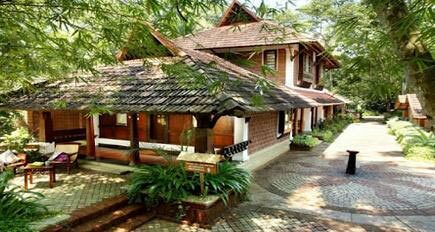 Following your arrival in Munnar, get checked-in into a hotel; options for resort will also be available. After getting freshened up at the leisure home, spend the rest of the day lazily within its comfort while adoring the salubrious beauty of the hills and mountains; overnight stay will be at the hotel or resort. Wake up to the charm of your first morning in Kerala along with your family members and munch on a delicious breakfast. Post this, get prepared to join a full day sightseeing tour with the family and visit some of the most sought after landmarks and tourist spots in Munnar..
On the list, there will be popular spots like Echo Point, Gundala Lake, Photo Point, Elephant Arrival Spot, Cinema Shooting Point, Mattuppetty, and Jungle Honey Bee Nest. The sightseeing tour will continue post lunch and will take you to other places like Eravikulam National Park, Anaimudi Peak, Tata Tea Museum, Historical Church, Blossom Hydel Park, Headworks Dam, Spice Plantation, and Pothamedu. With the advent of the evening, you will be dropped back at the hotel or resort for your overnight stay..
After a blissful tryst with the captivating hills of Munnar, your family will be driven to Thekkady! Following today’s breakfast, pack your bags and embark on a delightful journey to the abode of the enthralling Periyar National Park. 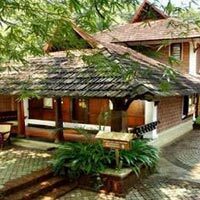 Your arrival in Thekkady will be followed by checking-in into a hotel or a resort, where you can unwind yourself and embark on a sightseeing tour of tribal villages and plantation areas. Come evening, you will get an opportunity to witness the wilderness of the Periyar National Park while enjoying an evening boat ride in the Periyar Lake. With the completion of the boat ride, you will be driven back to the hotel/resort for your overnight stay. Waking up in the morning, enjoy your breakfast and drive to Alleppey; one of most scenic destinations in Kerala. Also known as the ‘Backwater Capital of India’ or the ‘Venice of the East’, your arrival in Alleppey will be followed by your check-in into a houseboat. Settling down within the playful houseboat, take your family members for a backwater cruise and manoeuvre through several river islands, evergreen coconut groves and lot more. Witness and explore the enticing beauty of the backwaters, relax in the houseboat and surrender yourself into the hands of Mother Nature while enjoying pleasant moments with your family members. Following the unlimited fun and excitement in Alleppey, today, the entire family will be transferred to Kovalam or the ‘Beach Capital of Kerala’. Home to some of the most stunning and alluring beaches in India, your arrival in Kovalam will be adorned by checking-in into one of the beach resorts. After checking-in, unpack your bags and settle down for the night with your family members. Today morning, after having breakfast with your family members, get set for an exciting day out at the Kovalam Beach. Visit the most gorgeous beach with the most valued relations of your life and indulge in several exciting and amusing activities. Enjoy sunbathing around the warm sands, play with the lively waves, relax with an ayurvedic body massage, and participate in an array of water sports with your family. At dusk, drive back to the resort and enjoy your overnight stay with all the family members. As all the family members wake up in the morning, they will be served with a filling breakfast. Post this, they will be checked-out from the resort and driven towards the ‘Land’s End of India’ or Kanyakumari. While on the way, you can visit the ancient Padmanabhapuram Palace built by the Maharaja of Travancore and the sacred Sucheendram Temple. With your arrival in Kanyakumari, you can behold the enchanting beauty wherein the Indian Ocean, Arabian Sea and the Bay of Bengal confluences with each other. Following this, you will be taken for a boat ride to the renowned Vivekananda Rock Memorial, the meditation ground of Swami Vivekananda. By evening; after completing all the activities, you will be checked-in into a hotel or a resort where you can spend the overnight with your family members. With today’s breakfast, this exotic family holiday in Kerala will come to an end. After your breakfast, you will be driven back to Trivandrum, where you will be dropped at the railway station or at the airport. Post this, continue your onward journey to your home or next destination with your beloved family members.